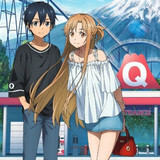 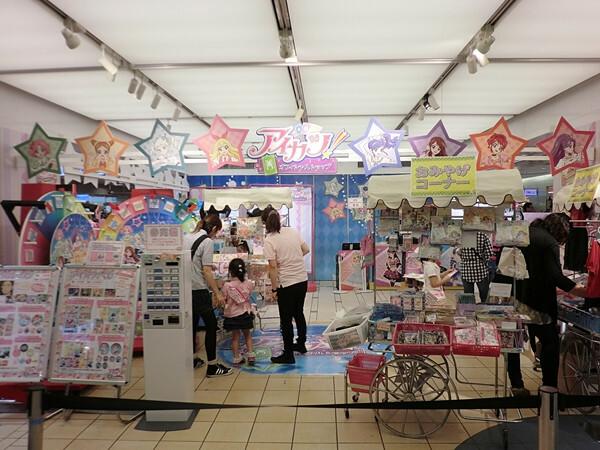 As we have reported several times, Tokyo Character Street in First Avenue Tokyo Station has more than 20 official stores for popular Japanese anime/manga/TV show characters including PreCure, Studio Ghibli, Shonen Jump, Ultraman, Rilakkuma, and Hello Kitty. 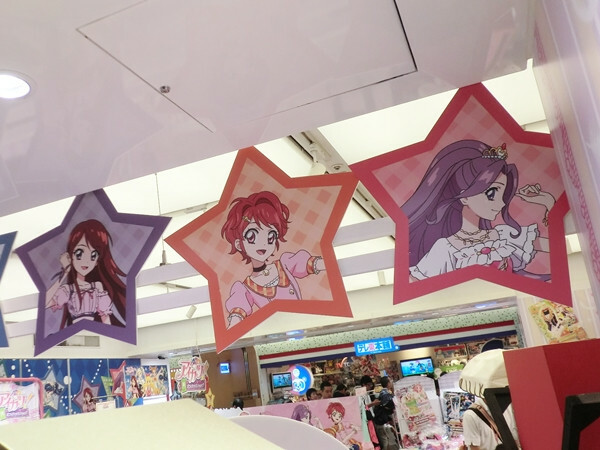 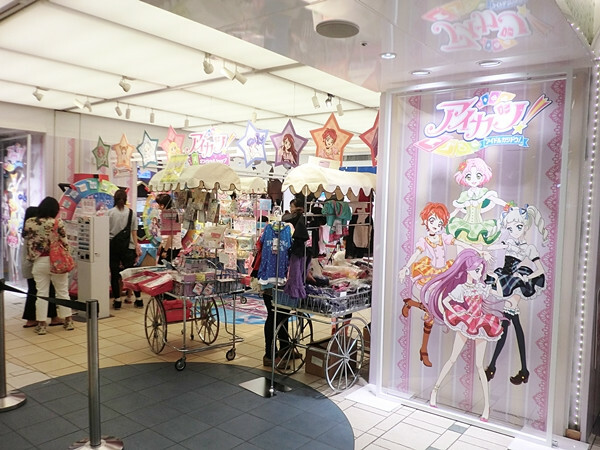 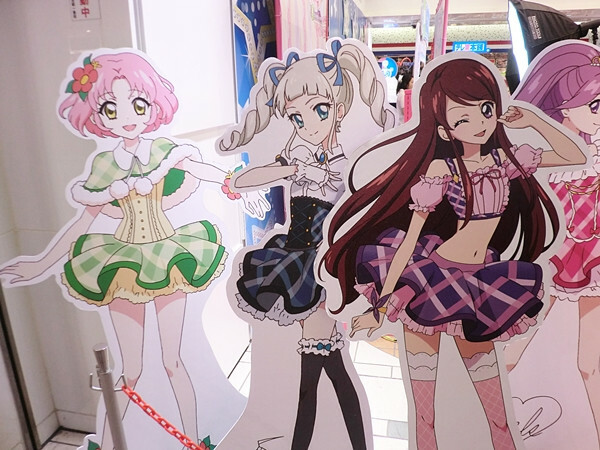 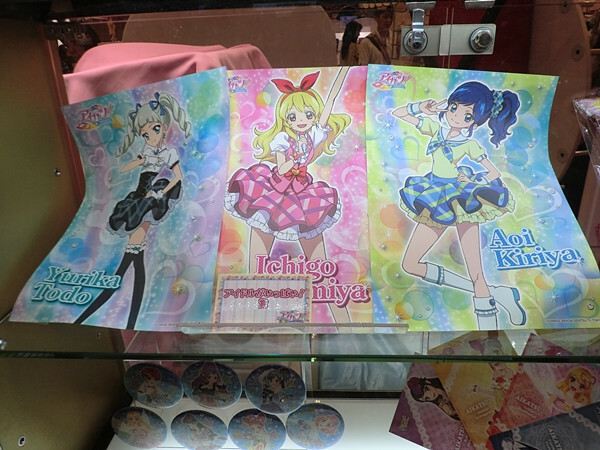 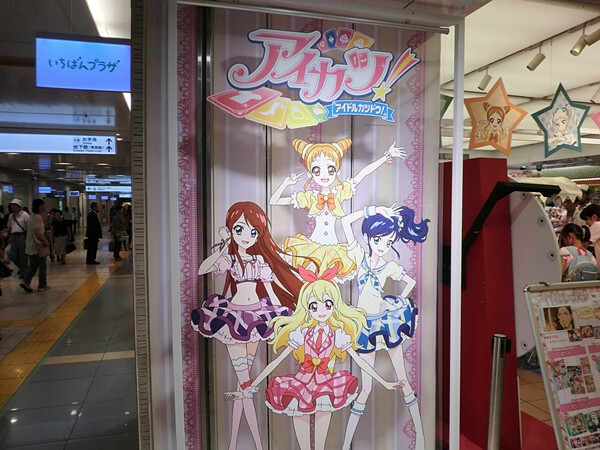 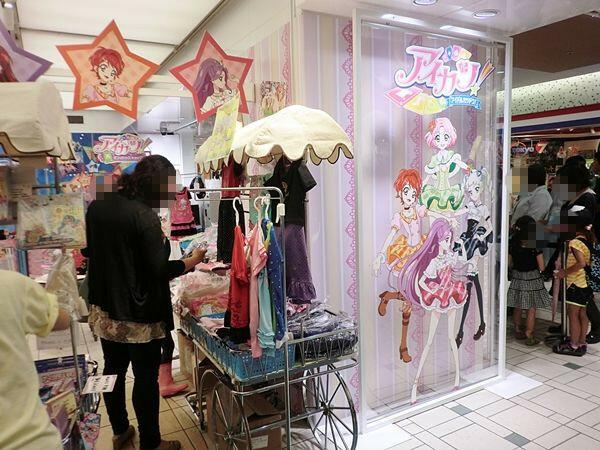 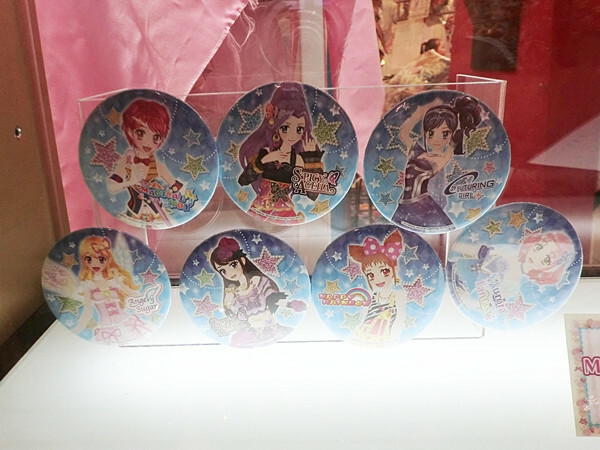 For the limited time between July 13 and August 5, the street opened an official store for Aikatsu! 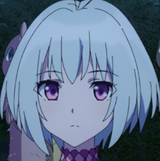 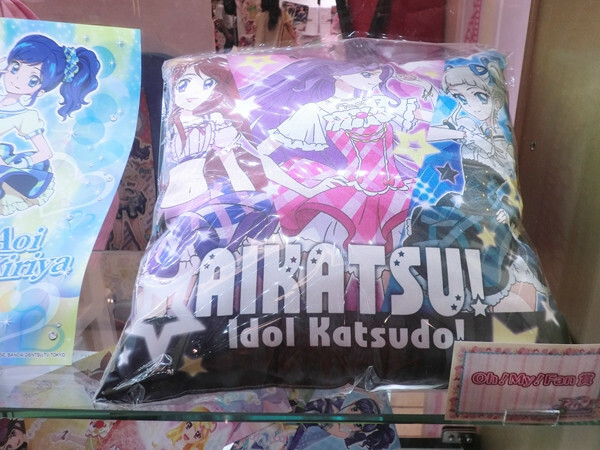 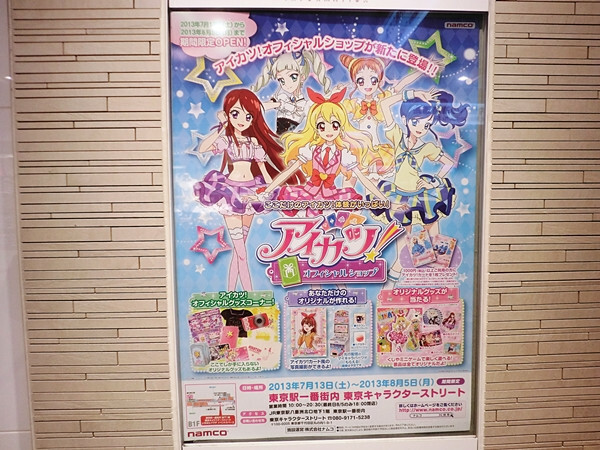 Idol Katsudo!, Bandai's popular arcade collectible card game and TV anime series based on it. 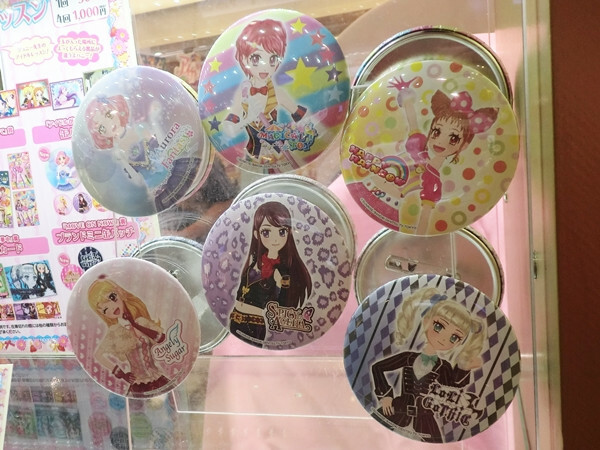 The store was decorated with colorful Aikatsu! 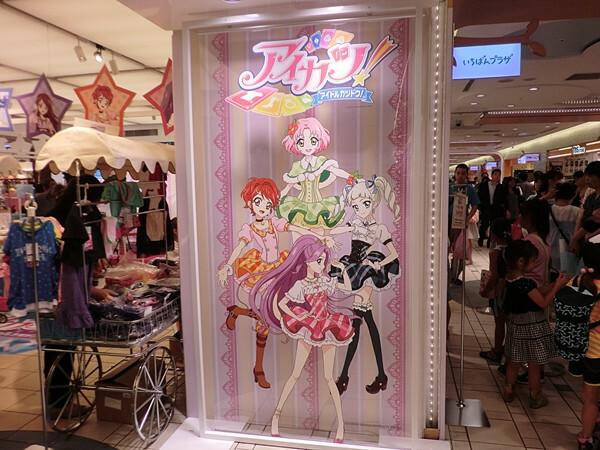 character panels and illustrations all over the place. 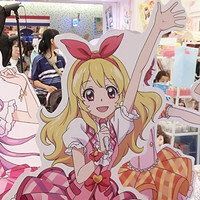 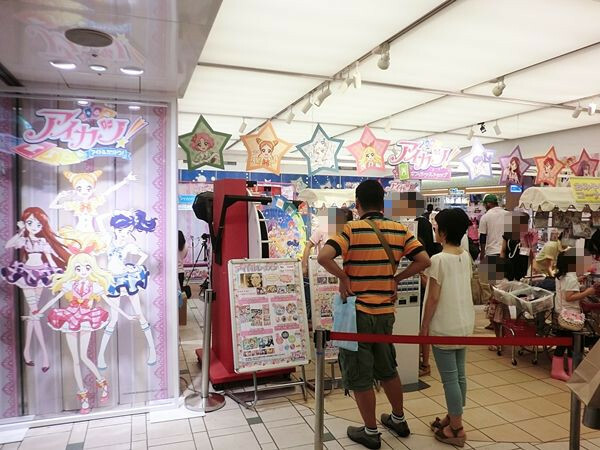 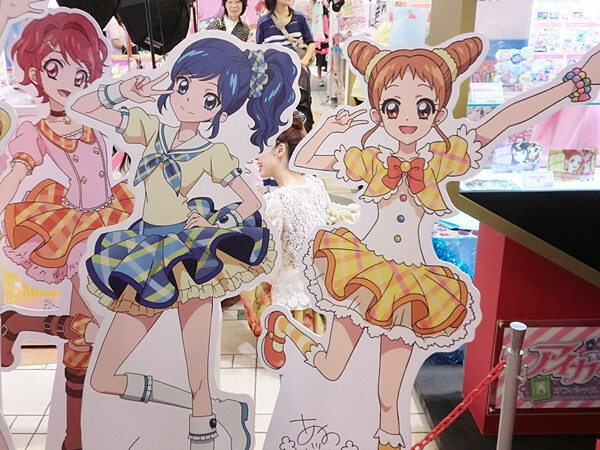 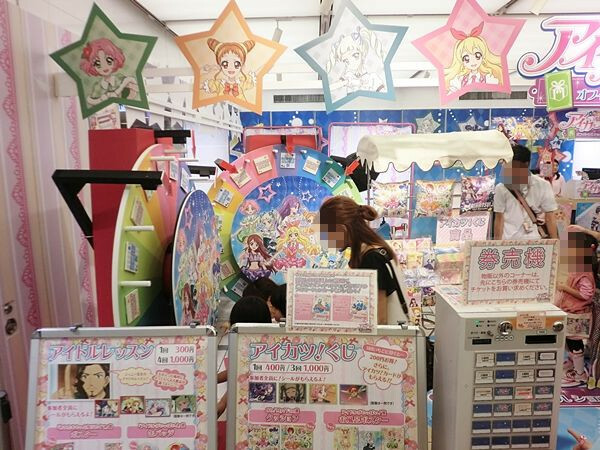 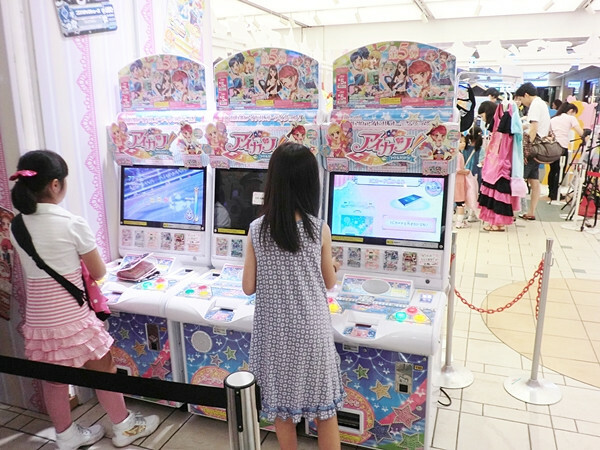 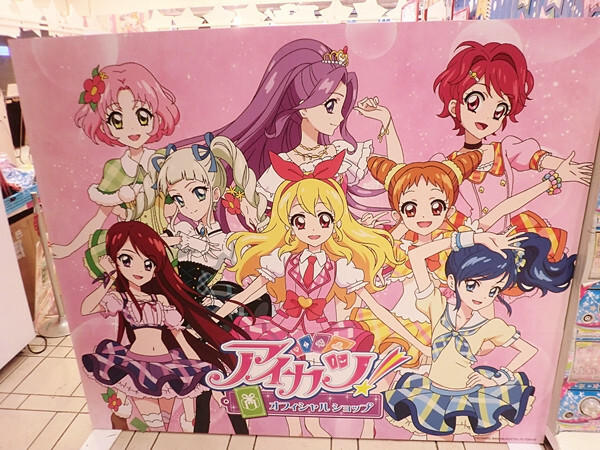 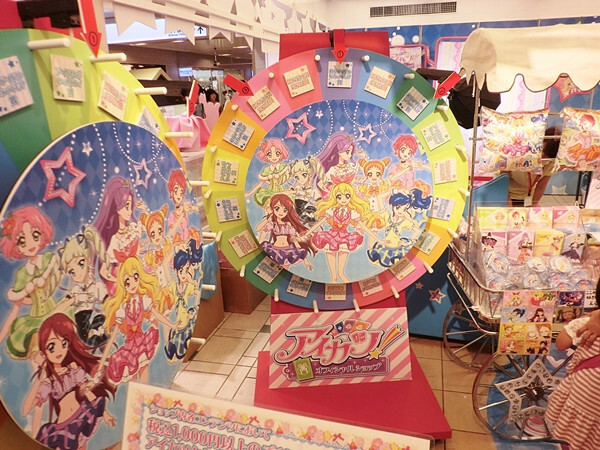 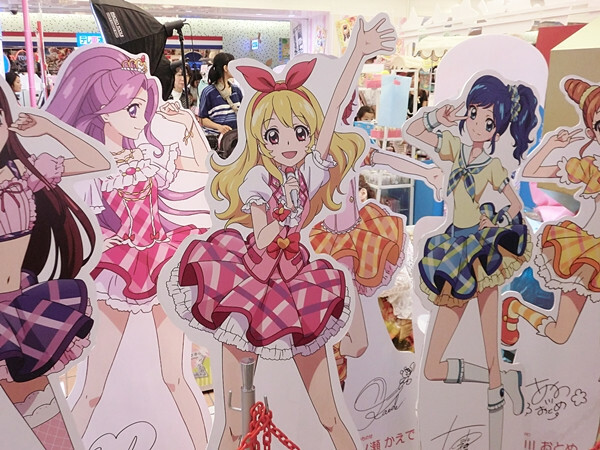 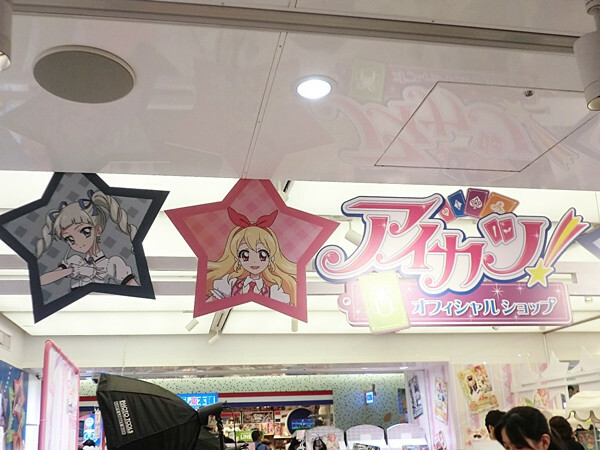 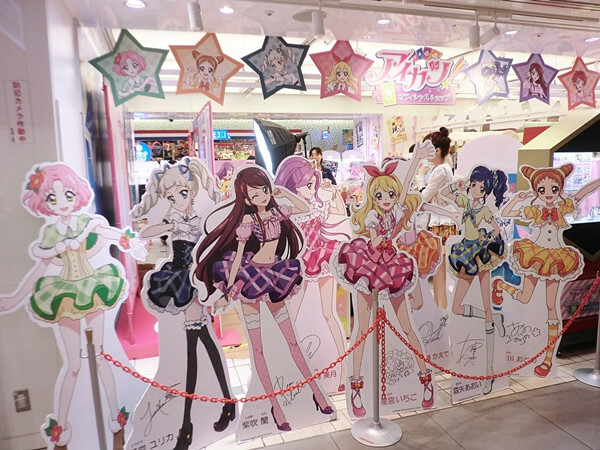 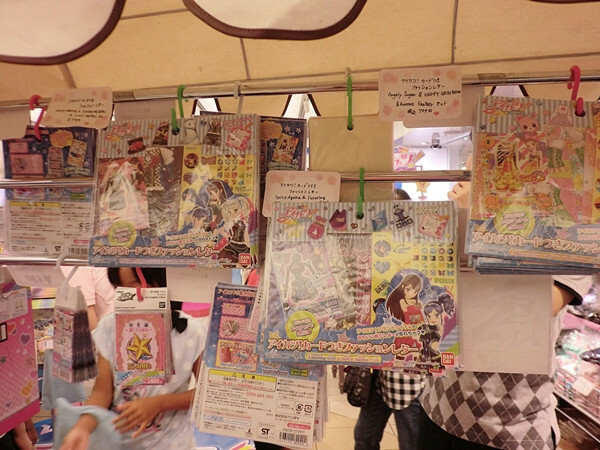 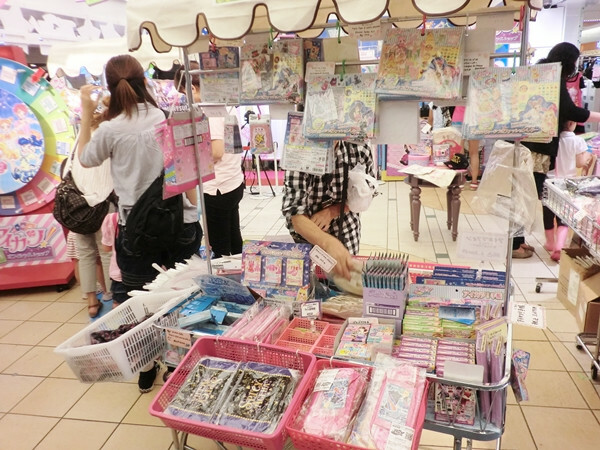 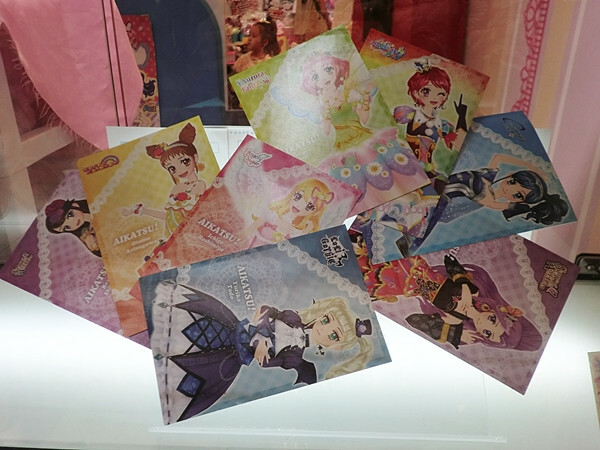 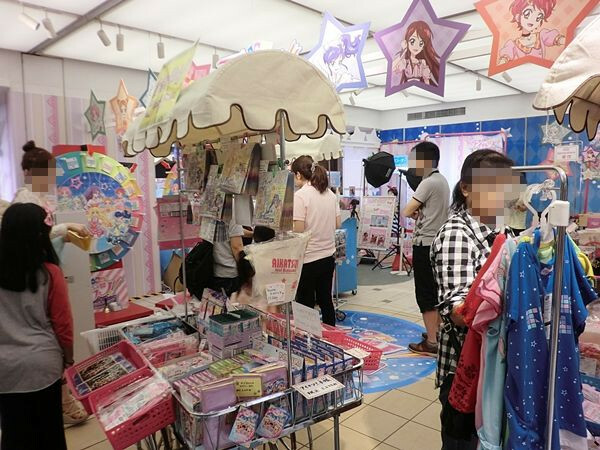 The fans, who were mainly preschoolers, could enjoy playing roulette for various prizes and buy many kind of Aikatsu! 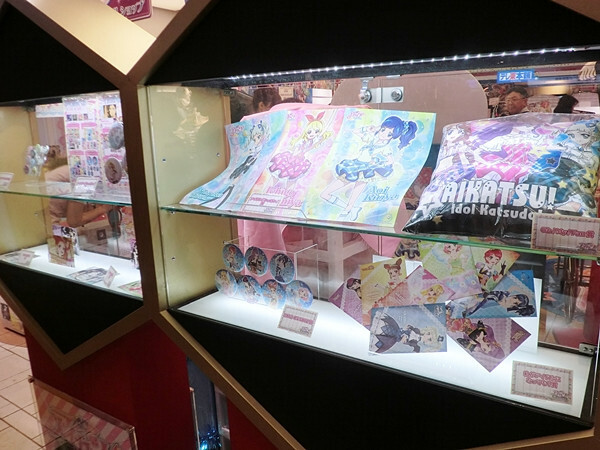 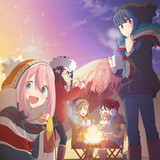 character goods. 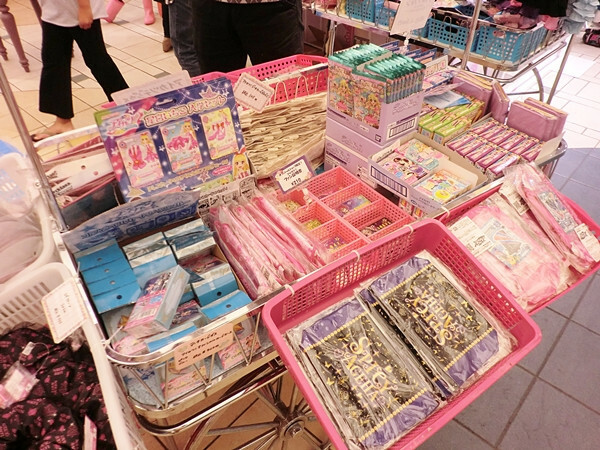 Column: "Natestalgia!" 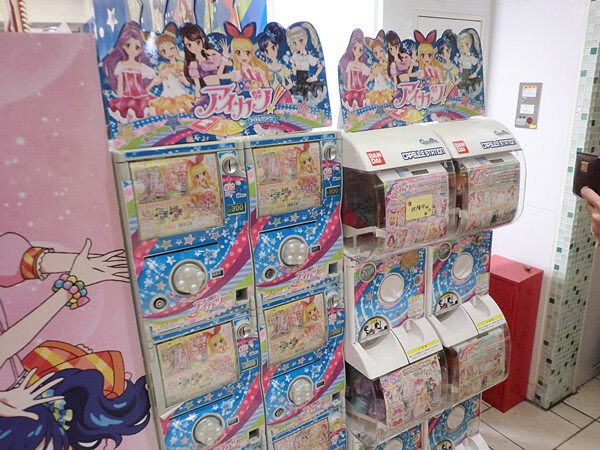 - Yoshiaki Kawajiri Triple Feature!